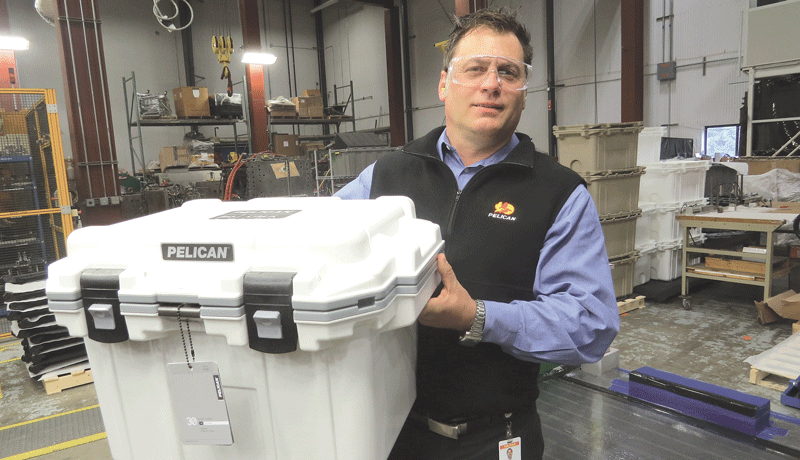 Joe Eckerle, Pelican’s vice president and general manager, with one of the company’s high-end coolers. For decades now, the names Pelican and Hardigg (which came together through a merger in 2008) have been well-known in the commercial, government, and public-safety realms, with containers used to ship everything from missile guidance systems to laboratory specimens. 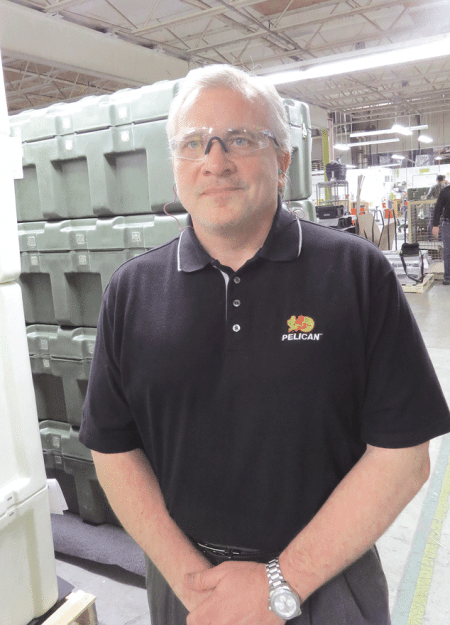 Now, the company — and the plant in South Deerfield that has been one of Franklin County’s largest employers for 60 years — is also making coolers, luggage, and cell-phone protectors, taking this brand places it’s never been before. That’s a term — one he would use often — with roots that actually go back long before that corporate name and logo went up on the sprawling manufacturing complex in South Deerfield in 2008, and also well before Pelican products hit the market in the mid-’70s. It refers, at least in part, to design, performance, and quality standards set more than six decades ago by James Hardigg when he started a company that would design and produce material, like foam, to protect products and, later, hard-plastic containers of all shapes and sizes. Torrance, Calif.-based Pelican Products acquired Hardigg, its main competitor, because its standards, and culture, mirrored those set by Pelican founder Dave Parker, said Eckerle, vice president and general manager of the South Deerfield operation. And, in recent years, this international corporation has applied this collective DNA to an ever-growing roster of products that has made this brand something it really wasn’t before — a true household name. Indeed, the name ‘Pelican,’ which was mostly known for commercial, military, and public-safety applications — its cases have protected everything from hunting rifles to missiles to parts for the Hubble telescope — is now also on cell-phone protectors, coolers, suitcases, GoPro cases, and even backpacks. The recent efforts to expand the product line and enter new markets, such as the one for high-end coolers, is part of an ongoing effort to create more vertical integration at Pelican, said Joe Baltronis, senior vice president of Worldwide Marketing. Joe Baltronis says Pelican has vertically integrated its operations and entered a number of new markets in recent years. He told BusinessWest there are now separate divisions devoted to the commercial/government, ‘BioThermal,’ and consumer components of the company’s portfolio of products, with all three (and especially the consumer side) seeing impressive growth in recent years, triggered in large part by the specific focus — and expertise — brought to those divisions. 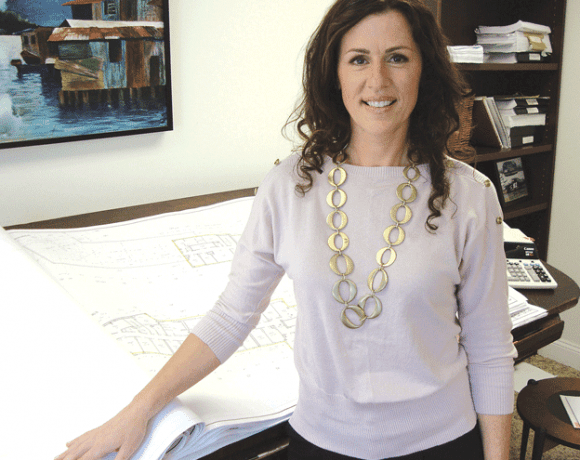 This vertical integration and penetration into new markets has spurred a roughly 10% increase in the workforce in South Deerfield, said Eckerle, to about 400 people, 300 of them in manufacturing jobs. “This represents a significant breakthrough — it’s an innovation statement,” he noted, while explaining that the case he was holding was roughly 40% lighter than its predecessor of the same dimensions. 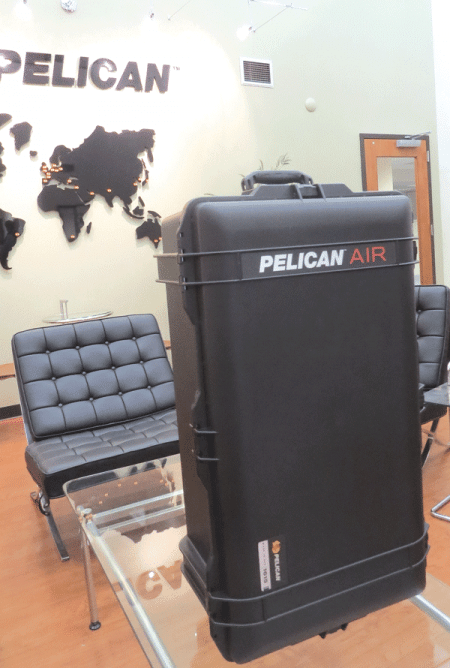 Pelican Air went on the market just a few weeks ago, he said, joking that he believes a good deal of the sales to date have been to competitors bent on reverse engineering these cases to figure out how all that weight was taken out. When pressed by BusinessWest on that subject, he was understandably shy with specifics, but did offer some generalities. “Through our engineering efforts, we’ve been able to take a significant amount of weight out of the case, not only in the manufacturing process, the molding, but also with the components, where we’ve been able to do things like honeycombing, coring, and other processes,” he explained, adding that part of the equation is the material that goes into the mold, which is proprietary. “It’s all top-secret,” Eckerle noted with a laugh, adding that it is certainly not a secret that the company, now with sales offices on four continents, is looking to take the Pelican and Hardigg brands to places they’ve never been — in every sense of that phrase. While the Pelican name is not always visible to moviegoers — although sometimes it stands out — there’s no debating that this company’s products have logged considerable time on the big screen (as well as the small screen) in recent years. Indeed, its containers were omnipresent in The Martian, and made several appearances in the latest Star Wars installment. Products have appeared in some of the Iron Man movies — Tony Stark keeps his arc reactor in a case made by Pelican — and those with sharp eyes could also spot them in episodes of Alone and Dexter, among many other shows. But while the company is making its presence known on Hollywood production lots, that’s not exactly one of the specific goals put down in a broad-based, constantly changing business plan — although such exposure certainly helps. Instead, the primary mission is to make that name ‘Pelican’ more and better known to a host of constituencies, including home and business owners, by putting it on more of the products they use. It already resonates with a number of groups — from hunters and fishermen who walk the aisles at Cabela’s or Bass Pro Shops, to police and fire departments in most every community in the country (the company makes everything from the flashlights officers carry to the cases used to hold materials used to train bomb- and drug-sniffing dogs), to major defense contractors and the small shops supplying them with parts. The company has done well meeting the specific needs of these consumer groups, enough it to make the global leader in high-performance protective cases. But in recent years, it has recognized opportunities to put that Pelican DNA into a host of new products, said Eckerle, and it is seizing those opportunities and gaining new visibility in the process. Before elaborating on the present and future, though, we first need to take a look back to understand how we arrived at this point. Our story begins with James Hardigg, an aerospace engineer noted for his work to create what’s known as the cushion curve, which, as that name suggests, involves determining how much cushioning is needed to keep a product safe during transport. He started a company that was initially focused on manufacturing protective materials, said Baltronis, adding that the industry term ‘cushioning’ goes well beyond foam, and extends to cradling systems and what amount to shock absorbers. It was years later that the company directed much of its focus to cases. “Mr. Hardigg used to say that the only real purpose of the case is to protect the foam; the purpose of the foam is to protect the product,” he said, adding that, nonetheless, by the late ’60s or early ’70s, the company was far better known for those cases. Indeed, Hardigg became the industry leader in a process known as roto molding, or rotational molding, whereby a heated hollow mold is filled with a material, in this case plastic, and is then slowly rotated, causing the softened material to disperse and stick to the walls of the mold. Pelican Air makes what the company calls an “innovation statement,” and represents a key improvement to a core product. Over the years, the Hardigg name was attached to a growing number of products, some manufactured in large quantities, but many of them custom-built for the specific customers. Cases built by the company, some as large as a room, were designed and built to protect everything from hunting rifles to cameras; from parts for the Apache helicopter to delicate medical instruments. Meanwhile, a continent away, in Torrance, just south of Los Angeles, the next compelling chapter in this story was unfolding. Dave Parker, an avid scuba diver, recognized the need for rugged flashlights and cases that wouldn’t leak, so he and his wife, Arlene, started a company that would manufacture one in his garage. Named Pelican Products, this venture would soon move on from the SABRELITE flashlight to waterproof first-aid kits. Dissatisfied with the quality of the work turned out by a contract manufacturer assigned to make the cases, Parker decided to produce them himself. The company would go on to expand its line to include a host of protective cases and other products such as industrial dive lights, said Eckerle, and become an industry leader in injection molding. In 2004, the company was acquired by the private-equity firm Behrman Capital, and four years later, it would effectively double in size through the acquisition of chief rival Hardigg, making it the largest manufacturer of equipment-protection cases in the world. It’s getting easier for consumers to duplicate that maneuver, he told BusinessWest, adding that the company now makes its Voyager cases for Samsung Galaxy S7 and S7 Edge, as well as a host of iPhones. “This is a rugged, high-end protector — that’s the segment we’re in; it’s built to last,” he said of the one in his pocket, adding that this same philosophy and DNA (there’s that term yet again) is being applied to a host of new products, which bodes well for the company and the South Deerfield manufacturing facility. As Eckerle (alongside Baltronis and Les Rhodes, facilities manager for the operation) offered BusinessWest a tour of that plant, he stopped for several moments in the large area now dedicated to the production of the company’s Elite coolers. While pausing at one of the 30-quart models being readied for shipping, he turned his body in several different directions to point out the many different sizes and shapes now being produced, all the way up to 250 quarts, a popular model with commercial fishermen. He then pointed to the wheels on one of the models. “That’s something we do that no one else does,” he said proudly, adding a quick ‘to the best of my knowledge’ in acknowledgment of a market where things can change quickly. The wheels on the coolers — those products are also certified ‘bear resistant’ by the Interagency Grizzly Bear Committee — constitute just one example of how the company doesn’t want to simply be in a market, he explained: it wants to be a leader and an innovator in that specific market. 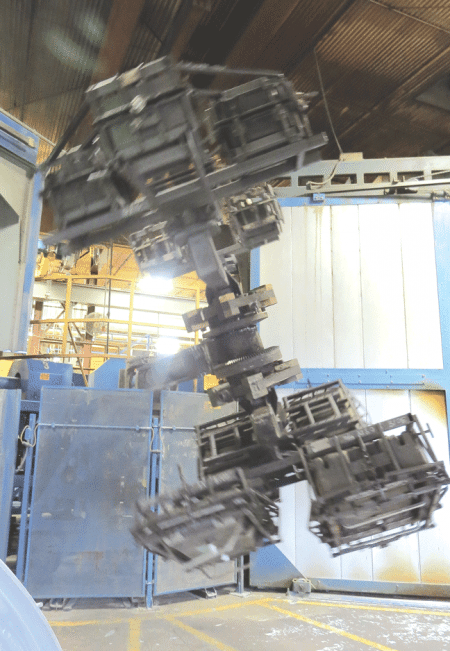 The South Deerfield plant remains a world leader in the process known as roto molding, or rotational molding. There is similar verbiage in the description of luggage, cell-phone protectors, and backpacks (which are assembled overseas and feature crushproof, watertight laptop and tablet compartments). But while new-product development has been the primary focus within the business plan in recent years, innovation involving what would be considered the company’s traditional, or core, product lines is also a big part of the equation, especially as competitors have encroached on that territory and taken market share by cherry-picking popular models to emulate, said Baltronis. Pelican Air is a prime example of such movement. Marketed using catchphrases such as ‘floats like a butterfly, protects like a Pelican,’ the lighter protective cases represent, as he said, an innovation statement, and an answer to perhaps the only major concern voiced about Pelican products over the years: weight. That’s fitting because the two iconic names in this increasingly competitive industry share the same standards — the same DNA, if you will. And that DNA is giving birth to not only new product lines, but new product innovations that will take those names from Mars (well, at least in the movies) to the kitchen closet to the cell phone in your pocket. This would seem to herald more growth and vitality for that plant built by James Hardigg all those years ago, one that continues to break the mold in more ways than one.